Sophia Trozzo pays close attention to instructions about mixing medication, in the Pharmacy. Zuzu Park tries her hand at suturing. Christine Jang gets a lift during a session where students learned how to safely move patients. 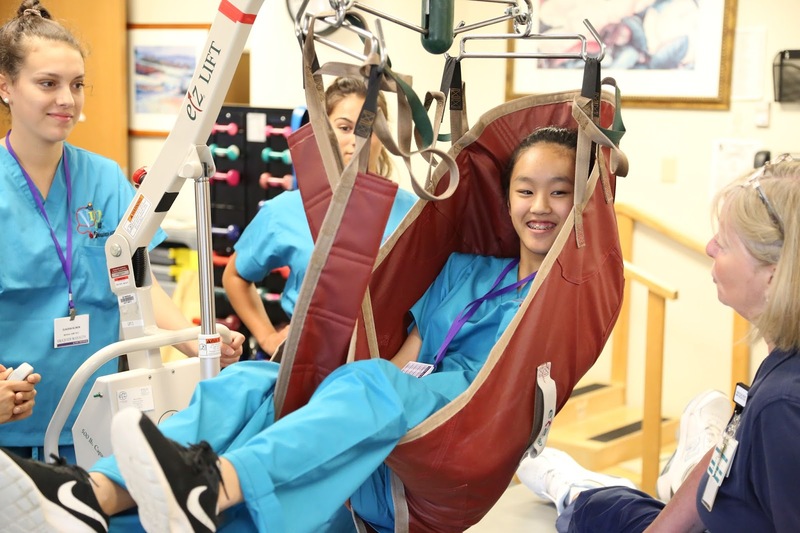 Fauquier Health’s Medical Camps allow children hands-on experience and insight into possible medical careers, drawing children from around the East Coast. Some, who participated in the camp in the past, are now in medical school, nursing school or exploring other healthcare professions. 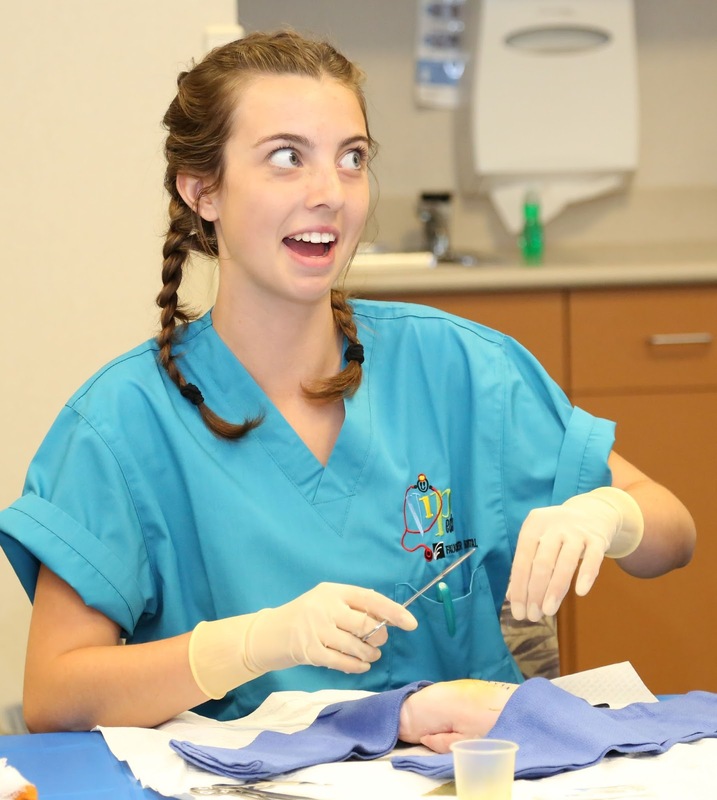 Open to children 13-18 years of age, the camps offer two levels of hands-on activities in which students learn and practice skills essential to patient care, such as starting an IV, mixing medications, suturing wounds and more. Acceptance into the camp program is competitive. This year’s group of students will be attending from Virginia, Maryland, Pennsylvania, Ohio, Michigan, Florida and Connecticut. One session has already been held. Remaining Level 1 dates are June 20-21 and June 27-28. 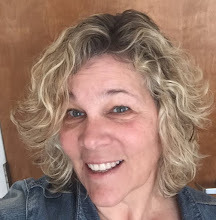 Level 2 dates are July 11-12 and July 18-19. Level 2 medical camp activities include all of the following on the first day: applying a cast to a partner’s arm (and cutting the cast off using the cast saw); placing internal sutures and closing skin incisions with staples, and extricating a patient from a vehicle using a cervical collar and backboard. 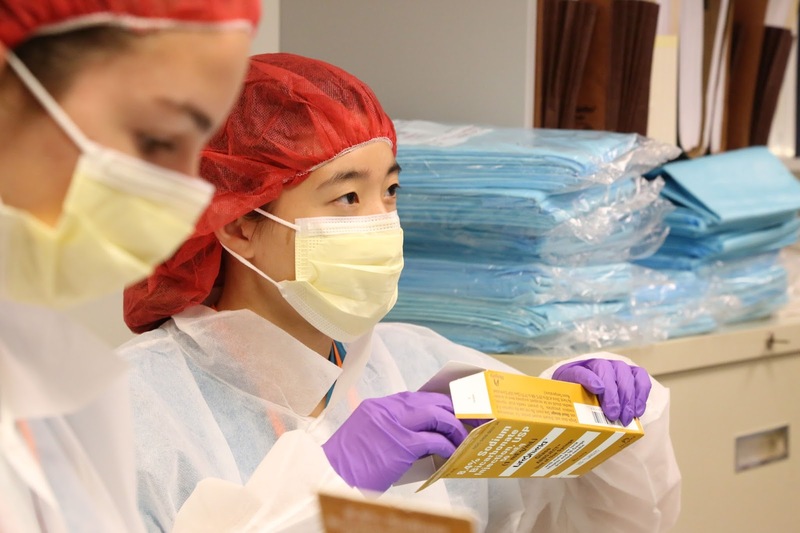 On the second day, students will learn to do injections and blood draws, precipitate their DNA from a cheek swab and perform the gallbladder removal surgery. Students must have participated in a Level 1 camp in a prior year to be eligible for the Level 2 camp.